In the quest of governing New Patriotic Party (NPP) to see massive developmental transformation in mining communities across Ghana, the Akufo-Addo government has hinted of increasing royalty payment to mining communities in future. The implication is that, mining communities, which have been in a mess over the years, will see infrastructure developments. 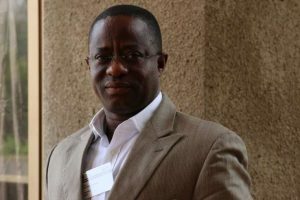 Per the Ghanaian mining royalty regulations, government has 80% share in the distribution of royalties, whilst 10% goes to the community and the Minerals Commission respectively, but the ruling NPP government in its barely one month stay in office, has indicated slashing its 80% royalties stake to 70% to develop mining communities in deplorable state. In a message read by John Peter Amewu, Minister-designate for Lands and Natural Resources, during the official commissioning of 201 Kurofofrom resettlement site by multinational mining firm, Perseus Mining (Ghana) Limited (PMGL), at Ayanfuri in the Central Region on behalf of President Akufo-Addo, he announced: “I would like to assure residents in mining communities that with regard to mineral royalties, the policy of President Nana Addo Dankwa Akufo-Addo is to ensure that mining communities receive a higher share”. In view of this, the current 80% of the royalty which goes to government, with ten percent going to minerals regulatory body (Minerals Commission), the government will reduce its share to 70%, with the aim of increasing communities’ quota from 10% to 20% to develop mining communities. Emphasizing the rationale behind the 20 percent mineral royalties increment to communities, he stressed: “The additional 10% to the community will be given to District Assemblies to be used specifically for developing infrastructure in the mining communities for development”.